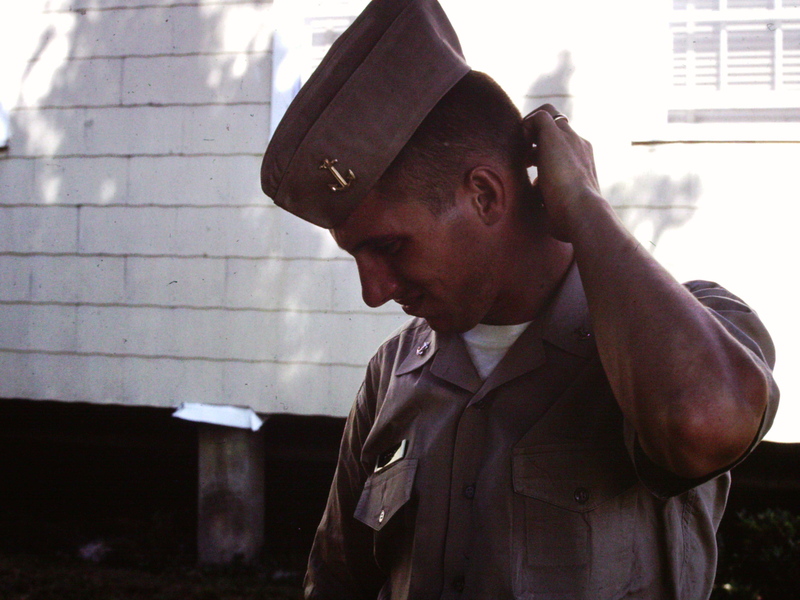 The Selective Service Board in Woodstock, Illinois was most insistent about assuring all young men had an opportunity to serve their country in the 60’s. I had just graduated from the University of North Carolina, Chapel Hill on 6/6/66. I planned on attending Graduate School at George Washington University that fall. Instead I soon realized that if I wanted a choice, I had best try to get into an Officer’s Candidate School in one of the services. The surface Navy said I was too stupid for them, why don’t I try Naval Aviation. They liked me. 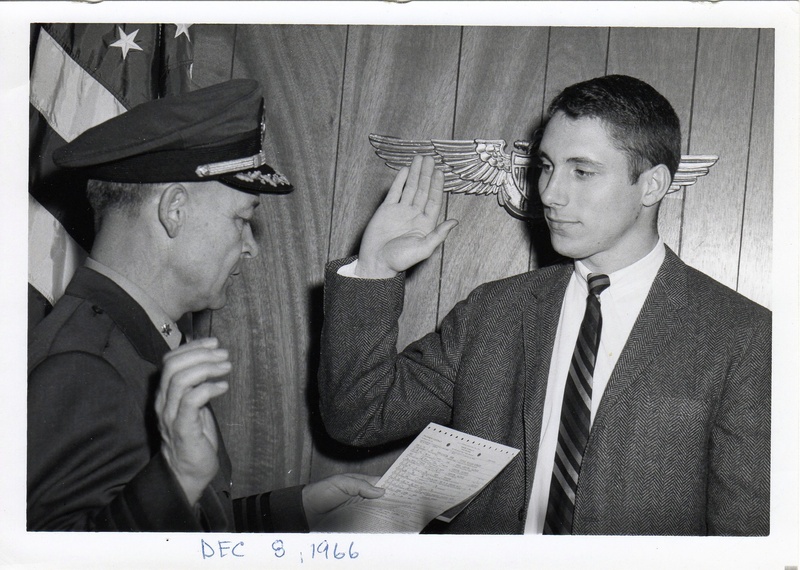 On December 8, 1996 I was sworn into that branch with orders to report to NAS Pensacola in late March 1967. Cadet life in Florida in the early spring can be fun in spite of the Marine Drill Instructors getting you into military shape. 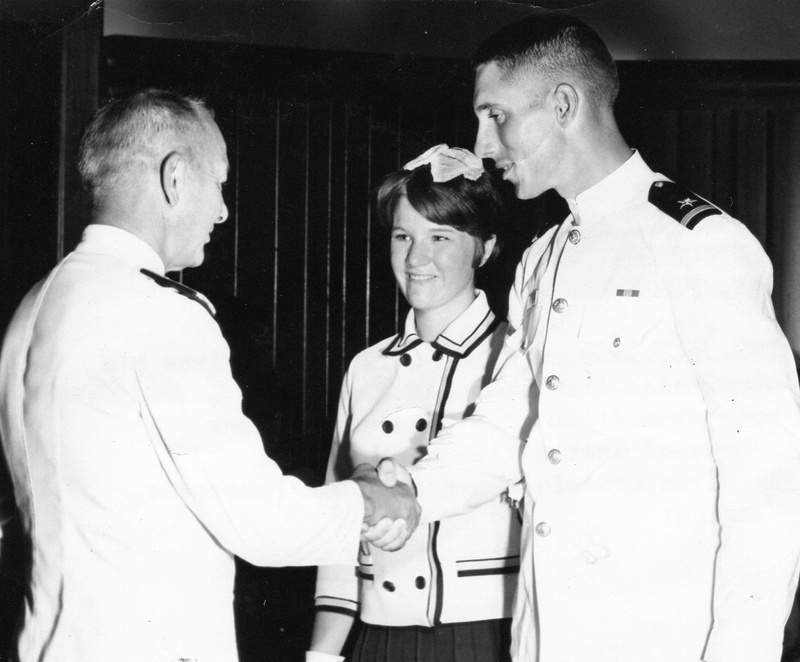 On June 9, 1967, give or take a day memory being what it is these days, Admiral Eddie Outlaw commissioned me as Ensign, USNR. In those days the proper Navy Wife would wear gloves and a hat for any ceremony. Being a proper daughter of a Navy Annapolis Captain and Navy Wife, she got creative at the last minute with a yellow mesh stocking. I saluted Sgt. Washington whose black highly polished shoes my nose had touched on occasion. I gave him the traditional dollar for the first enlisted salute. We cadets had great respect for these Sergeants who were heroes before ever reporting for this duty. Orders for A6A Intruders, West Coast were issued upon completion of ground school at NAS Pensacola. We shared the hangar with the Blue Angels for BNAO school. NAS Glyncoe in Brunswick Georgia was the last stop on the way to Wings doing Basic Jet Navigation. I was to be a Bombardier/Navigator. On January 28, 1968 I received my wings. Linda and I then migrated across the southern part of the country to dogleg at Los Angeles before turning North for NAS Whidbey Island, Washington. Of course we lingered with Aunt Betsy and Uncle David in Redlands for a while seeing Disneyland for the first of many trips. Some time the first week of February, we arrived to settle in Puget Sound. Little did we realize that we would spend the rest of our lives on the West Coast. We stopped at Uncle Fred and Aunt Evelyn’s home in Seattle before we reached the island. Uncle Fred took his niece and me for dinner at the Space Needle that crisp clear night. 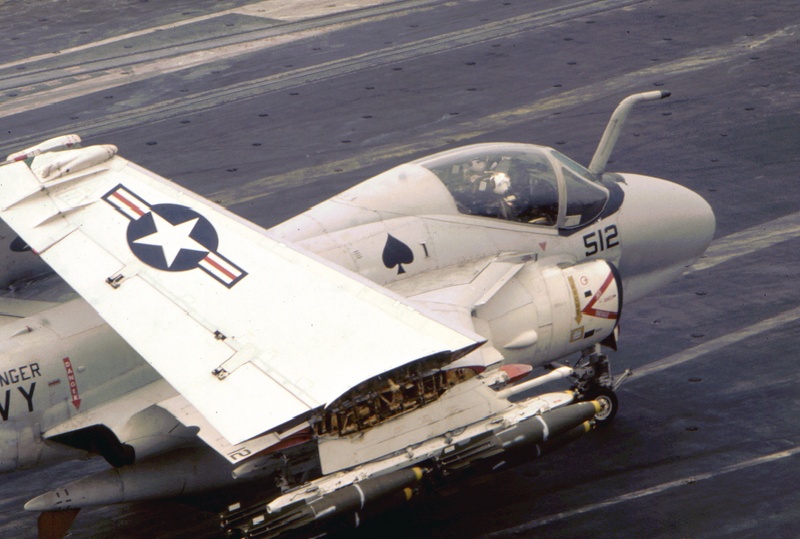 Thirteen months later, I completed the VA-128 Replacement Air Group training to be assigned to VA-196 now known through a Steven Coonts best selling book and a movie called “Flight of the Intruder”. 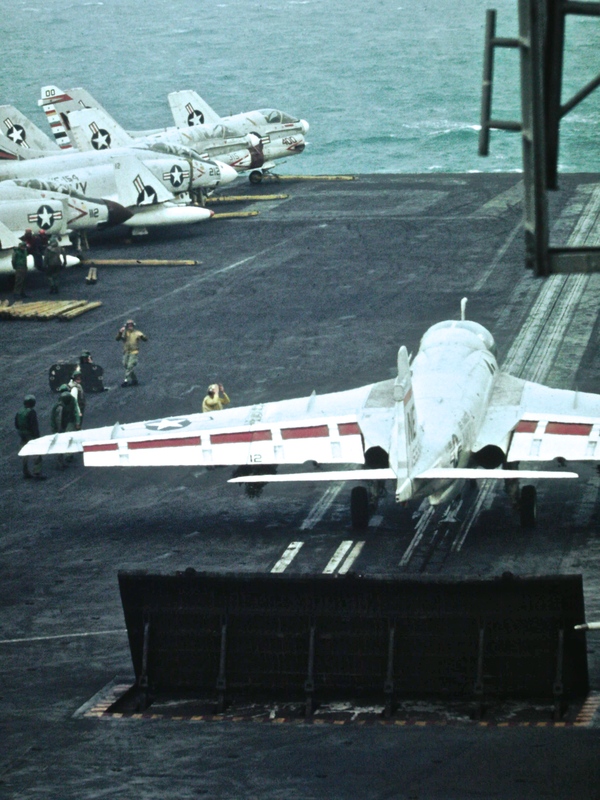 On October 17, 1969 we sailed aboard USS Ranger CVA-61 to Yankee Station located off the coast of Viet Nam. 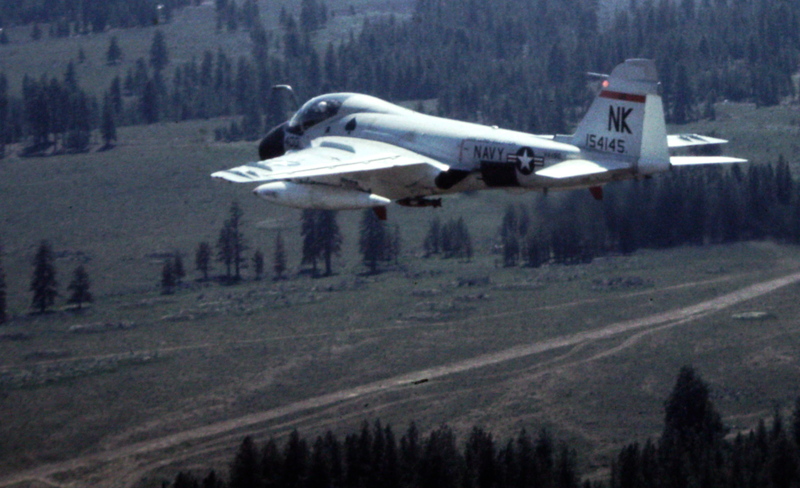 I flew my first combat mission on November 17, 1969. We traveled to Laos every day and night to deliver packages to be left on the Ho Chi Minh Trail. I did get to go to North Viet Nam. 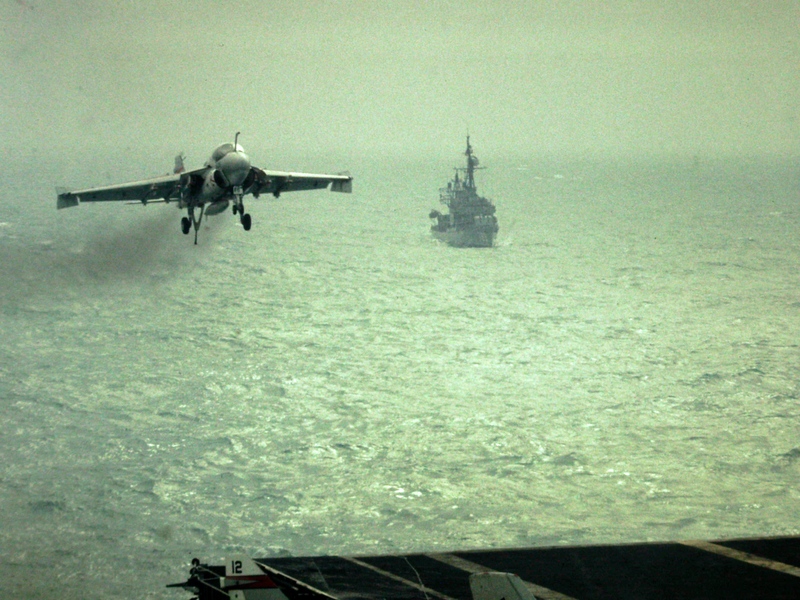 When the trip to Asia was over, I was a USS Ranger Centurion. I was one of the few in the squadron to have over 100 traps about that ship. I had 158 in total that included CVA 41 Coral Sea, CVA-63 Kittyhawk, and CVA-64 Constellation. I can tell stories about each an every one…the experience of coming and going off a ship sinks deeply into the memory. 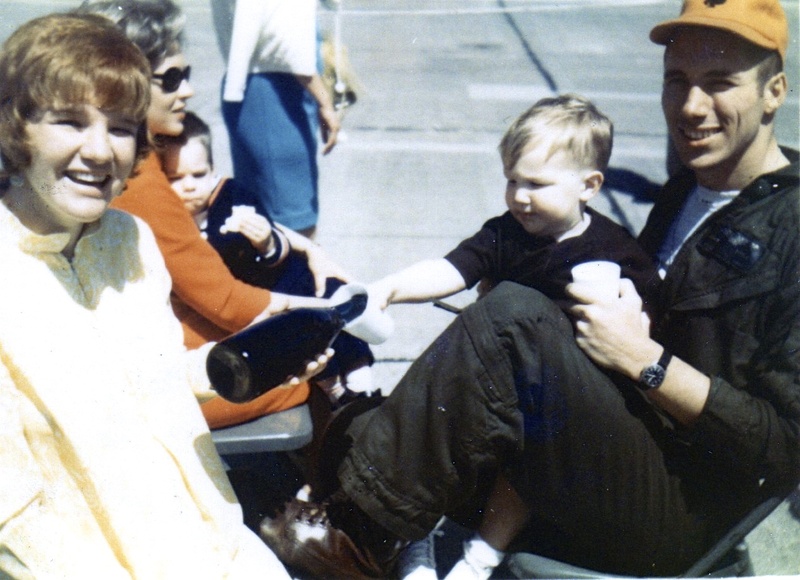 Lt. Gary Forsberg was my primary pilot and LCdr. Jerry Rogers was my CAG pilot. Flying with two LSO’s gave me more missions than more everyone else. We did lose 5 people to ground fire. Three others came back. Only one was not seriously hurt. I keep in contact with Capt. Lloyd Richards who was my XO back then. We both have survived flying sudden stops and therefore have a kinship we wish others never get to experience. I flew home off the ship in June 1970. The Skipper asked me to plan the route for our 15 airplanes launching about 400 miles off the California Coast. I had us aim for Mt. Shasta and then turn left to go home. There waiting was a young lad I barely knew and a spouse about to deliver a young lady. I was glad to be home. PS. A side story is about how memorable Linda is. There was an official small gathering of Naval Officers at my swearing in ceremony pictured above. When flying a training hop 18 months later out of Brunswick, Georgia, the Lieutenant pilot and I passed the time on a leg from New Orleans to Chicago. He was one of those officers at NAS Glenview. He did not remember me, but he did remember my wife.